Clementine Bakery’s Banana Cake | One Picture, A Million Words. Thanks to their parents’ unhealthy influence, my kids have developed a sweet tooth for cakes and cookies. To make myself feel better about it and also, to keep their diet as natural and wholesome as possible, I tend to give them goodies that I have made. I like to bake a cake for us to snack on throughout the week. The pictured slice is a small cube taken from a gigantic monstrosity of a cake, the recipe for which is from Clementine Bakery and was featured in the LA Times. 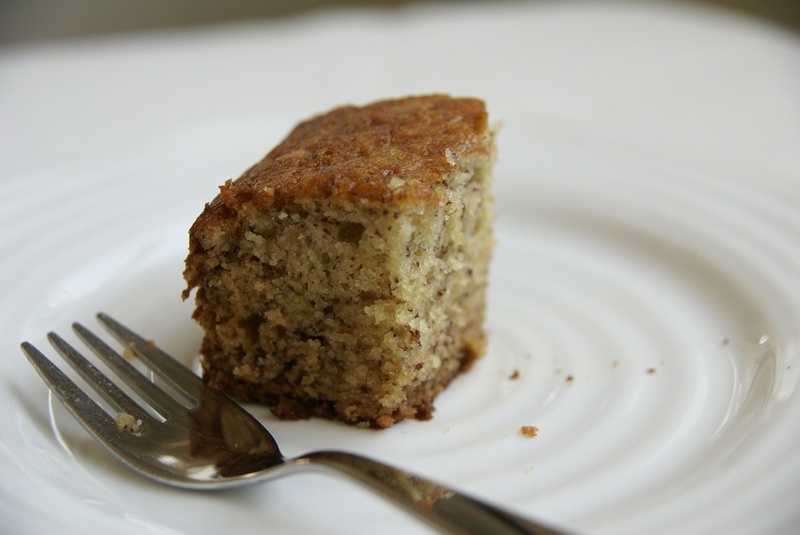 This banana cake is really good – moist, fluffy and flavourful. Like most baked goods, it is stupendously good when fresh out of the oven. However, it is also one of those cakes that tastes better with each day. My kids will be thanking me the whole week.